The team at Integrity Windows replaced a total of nine windows of various sizes. This is the third time we have used Integrity Windows within the past three years. All of our experiences have been great. The crews have all been very professional, knowledgable and on time. They have always worked diligently on the installations and and have always done a great job in cleaning up before they leave. Carey, the owner, has always been very responsive and follows up on any issues which might arise. The windows look great and we are looking forward to the energy savings this winter. I would highly recommend this company and will definitely use them again in the future. At Integrity Window we have been so pleased to find letters from our satisfied clients over and over again. Not only is it such a thoughtful way of them to enclose payment and a note of gratitude – it always makes the crew so happy to come back to the office with a customer letter. We know that when you’re choosing a window company you want someone that you can trust – trust they are quoting you a fair price for the quality you expect, trust that the final bill will be as quoted, trust they arrive on time and work diligently and respectfully while they’re on the job and trust that they won’t leave your house and your yard a mess. Although we can TELL you that’s how we do business at Integrity Windows, we hope that these letters from our customers can help SHOW you that our window, door & siding customers are not only satisfied with the quality of the product we install, they’re grateful for the efficiency and professionalism shown throughout the installation process. Why trust your house to a national chain or franchise with minimum wage installers (i.e. Home Depot, Lowes, Universal Windows, etc.) when you can rely on a small, local business with the same team of quality installers that care about customers and their homes? 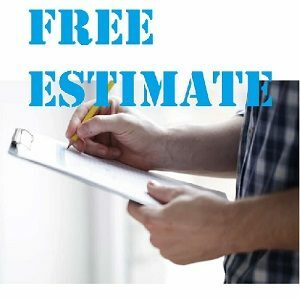 If you’re looking for new windows, doors or siding in the Lakewood / Cleveland area (Rocky River, Bay Village, Westlake, Avon, Avon Lake, North Olmsted, Fairview Park, etc…), let us provide you with a free estimate for your window, door and siding needs.